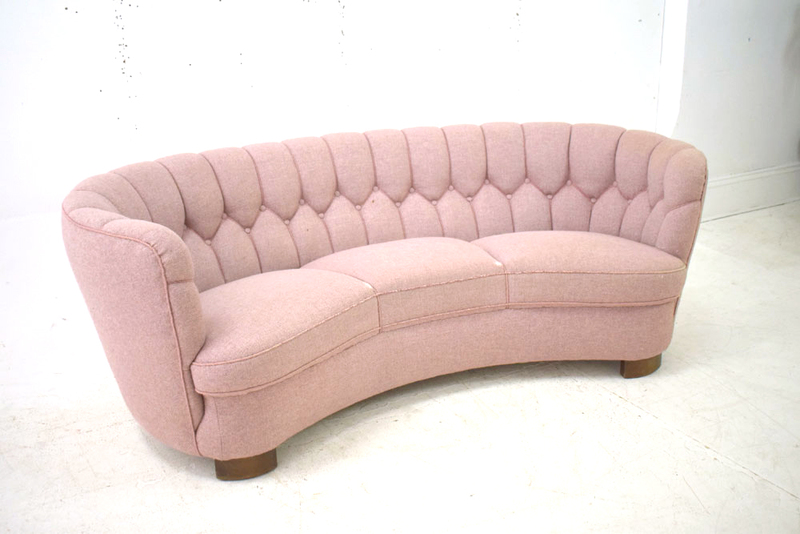 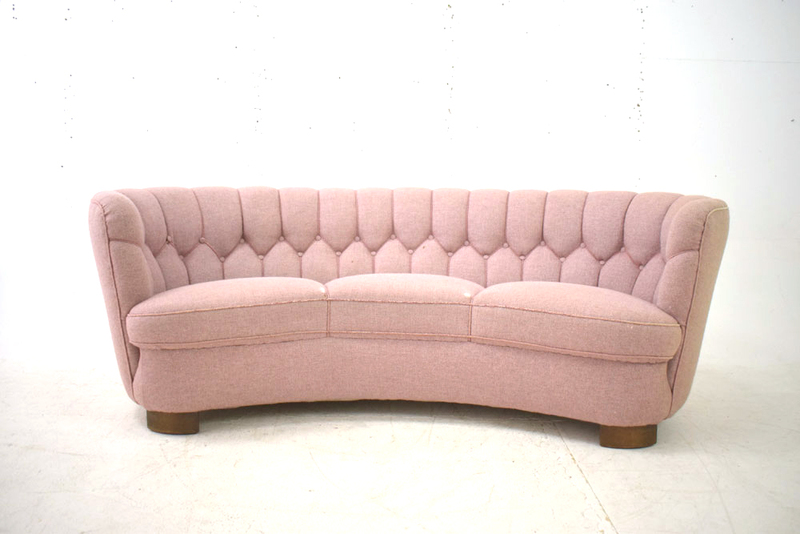 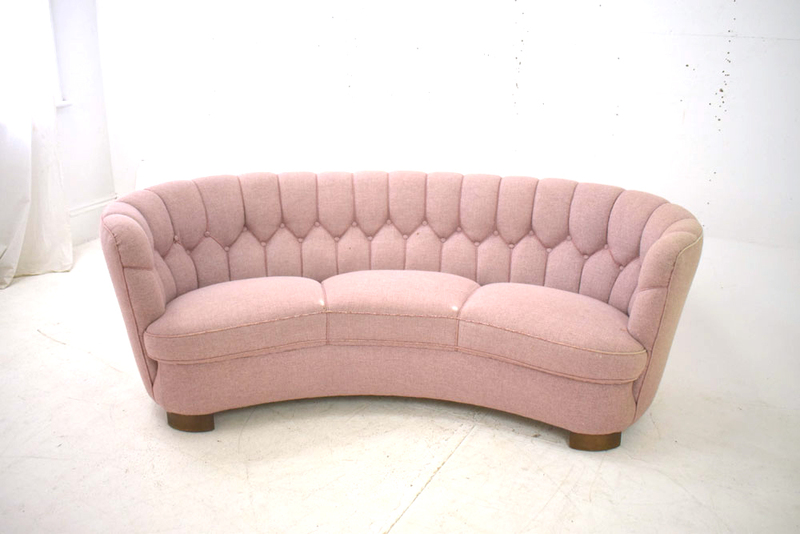 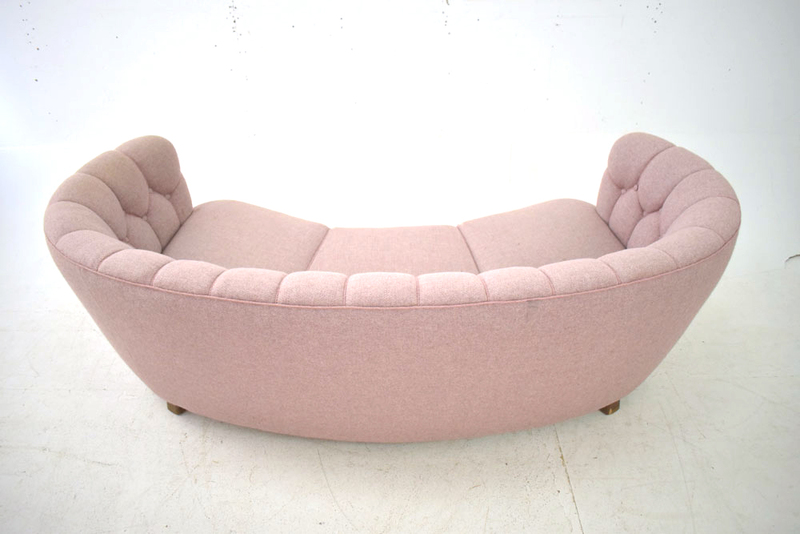 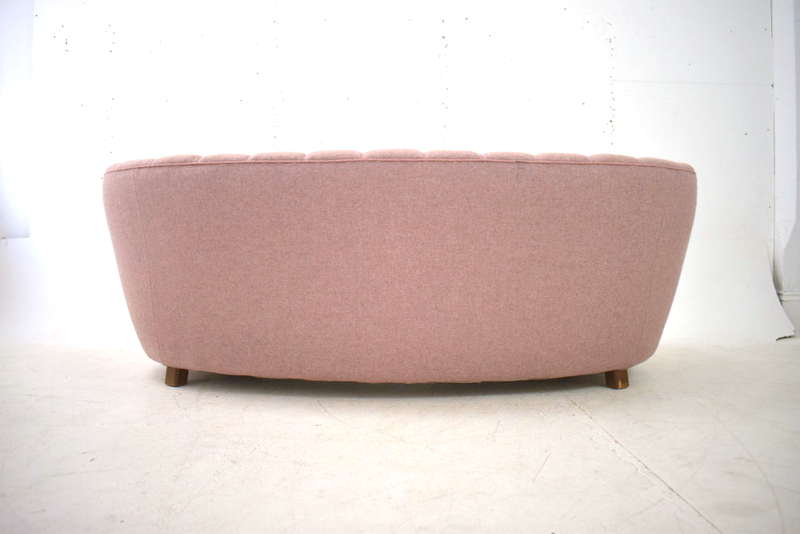 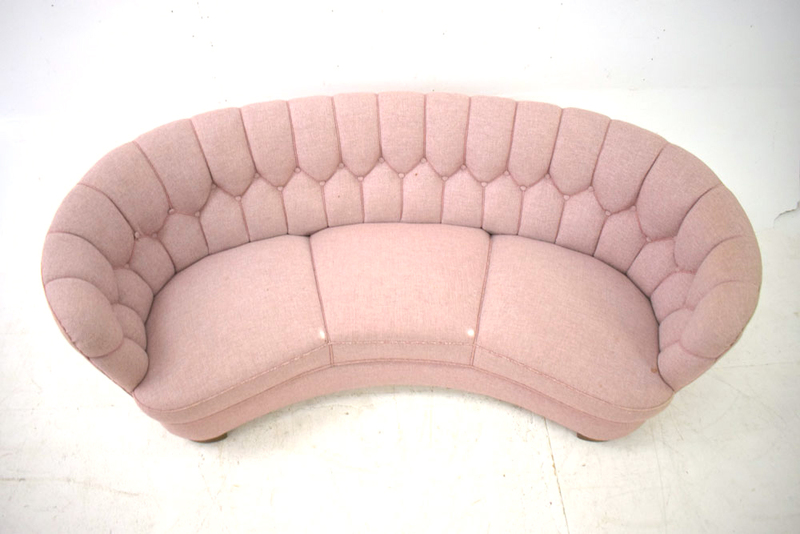 Antique 3 seat Danish design banana / kidney sofa in pink fabric. 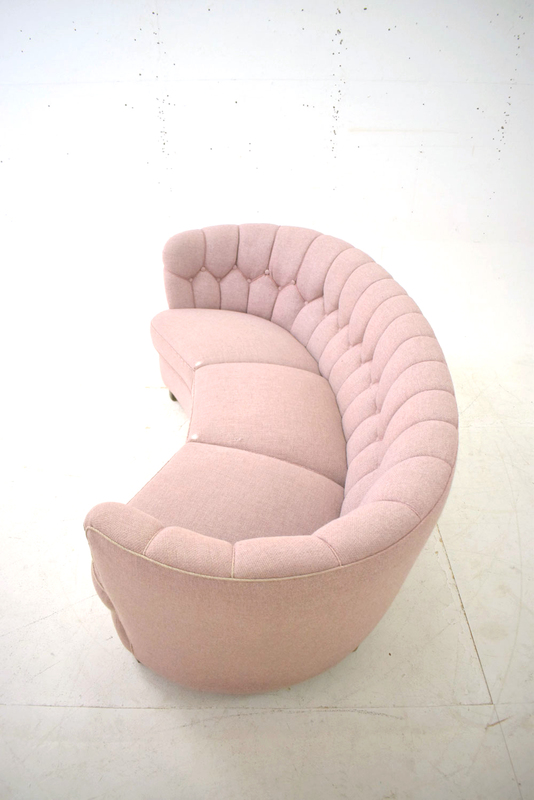 The settee offers low but excellently roomy and supportive seating, as the seat is sprung, making it very comfortable & springy. 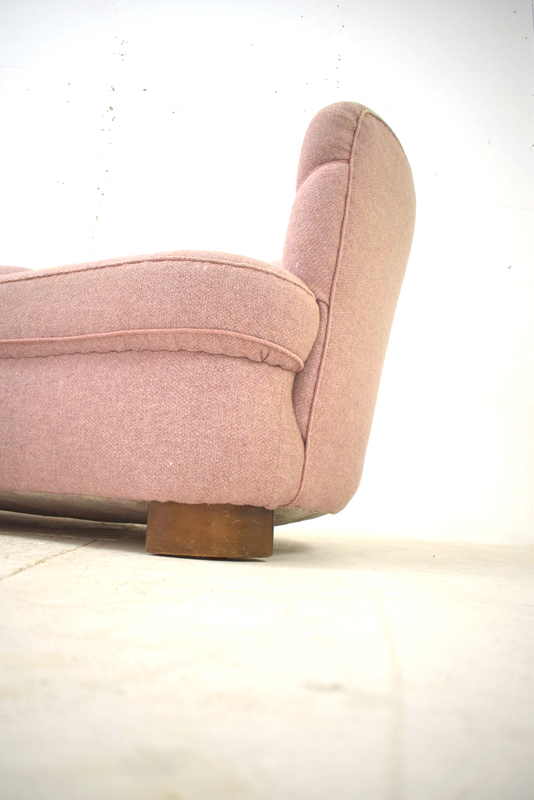 The sofa stands firmly on wooden legs and the sofa does not dismantle. 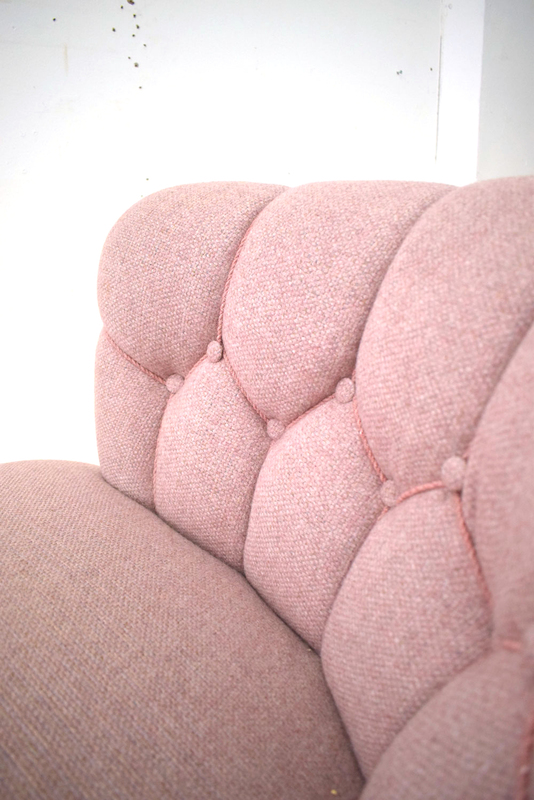 The fabric is showing minor signs of age & use, see images.